On 31 January 2002, the Boston Globe published a report that sent shockwaves around the world. 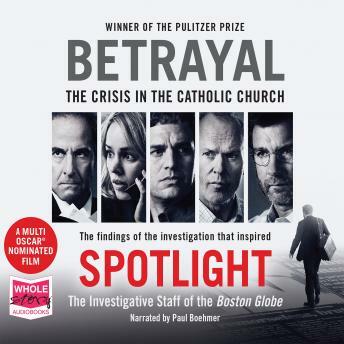 Their findings, based on a six-month campaign by the 'Spotlight' investigative team, showed that hundreds of children in Boston had been abused by Catholic priests, and that this horrific pattern of behaviour had been known - and ignored - by the Catholic Church. Instead of protecting the community it was meant to serve, the Church exploited its powerful influence to protect itself from scandal - and innocent children paid the price.